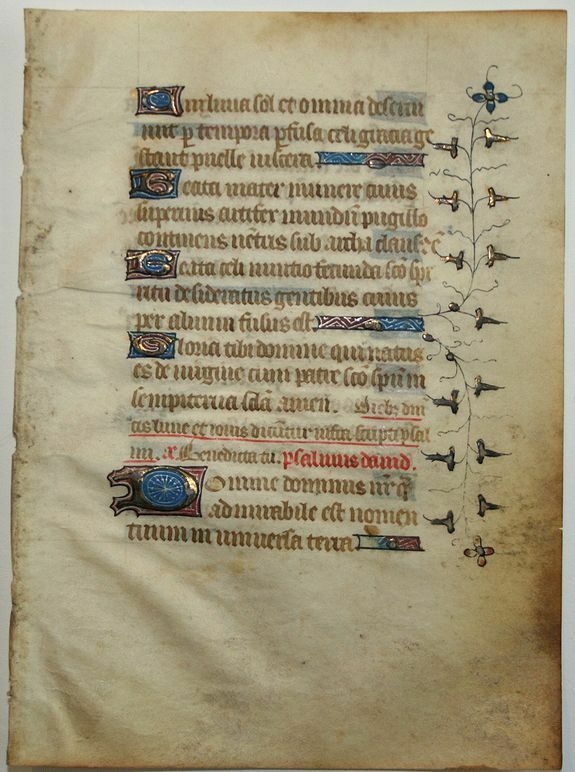 Description :Nice vellum leaf from a French Book of Hours, written in the style of the scriptoriums of Rouen. Written in brown ink with red rubrics, line fillers, initials and decorations of ivy leaves and flowers in the margin. Condition : A bit dirty but further in good condition.